The Best UK Cancer Blogs from thousands of UK Cancer blogs on the web using search and social metrics. Subscribe to these websites because they are actively working to educate, inspire, and empower their readers with frequent updates and high-quality information. Facebook fans 1,543,487. Twitter followers 319,664. London, UK About Blog The Institute of Cancer Research, London, is one of the world’s most influential cancer research organisations, with an outstanding record of achievement. Their mission is to make the discoveries that defeat cancer. Facebook fans 12,324. Twitter followers 9,442. UK About Blog Bowel cancer information and support for patients, family and friends from our nurses and people affected by bowel cancer through our online forum. Facebook fans 20,558. Twitter followers 25,004. Cambridge, UK About Blog Kidney Cancer UK is the leading specialist kidney cancer charity. It seeks to help reduce the harm caused by kidney cancer by increasing knowledge and awareness, providing patient information and by supporting research into the causes, prevention and treatment of the disease. Support and information on all matter relating to kidney cancer. Facebook fans 2,371. Twitter followers 2,204. Facebook fans 4,935. Twitter followers 5,514. London, UK About Blog Breast Cancer Haven is the charity that supports women through their breast cancer treatment. When breast cancer tries to rob a woman of her individuality, her confidence or her strength, we provide the tailored package of emotional, physical and practical support that helps her hold on to them. Facebook fans 2,970. Twitter followers 15,515. London / Birmingham About Blog The Childhood Eye Cancer Trust (CHECT) is a UK charity dedicated to helping people affected by retinoblastoma, a rare form of eye cancer. Their mission is to support people affected by retinoblastoma and to raise awareness of the signs and symptoms of the condition. This blog shares the brave stories of affected children. Facebook fans 5,720. Twitter followers 2,957. Ryde, UK About Blog A UK based charity helping kids with cancer recover and get them back on their feet again. Facebook fans 665. Twitter followers 67. London, UK About Blog Hi my name is Chris and I am a cancer patient. I have created a blog to help people affected by cancer to give them some friendly support. Facebook fans 6,524. Twitter followers 20,096. 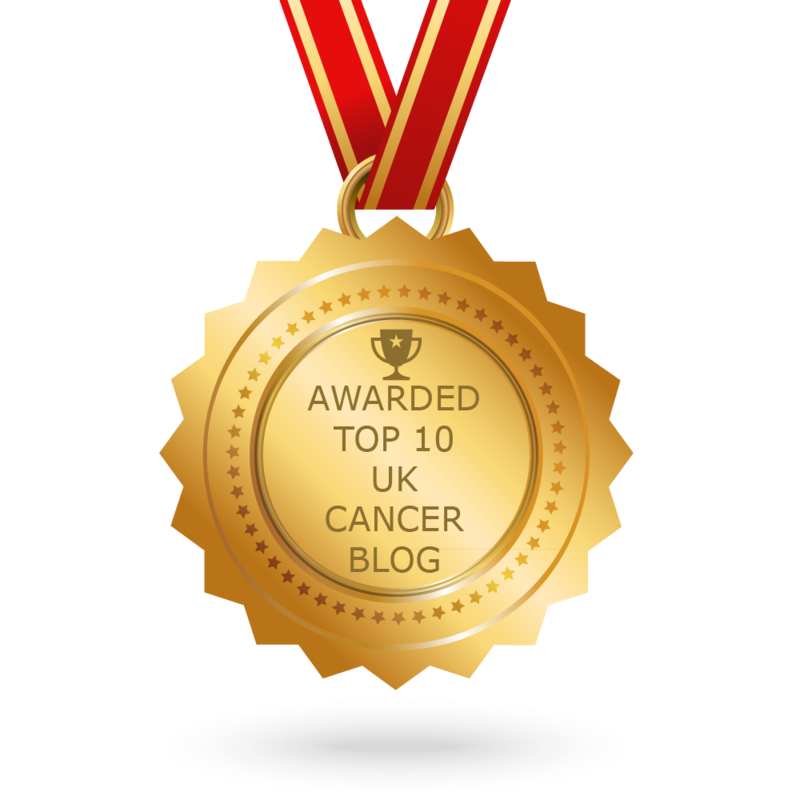 CONGRATULATIONS to every blogger that has made this Top UK Cancer Blogs list! This is the most comprehensive list of best UK Cancer blogs on the internet and I’m honoured to have you as part of this! I personally give you a high-five and want to thank you for your contribution to this world.